Use the Deployment calendar to get an overview of upcoming jobs and blackout periods. With the required role, you can use the calendar to locate conflicting jobs and move them using drag and drop. Ensure you have a role with the ‘Reschedule Job’ permission. Drag and drop entries to new time slots as required. Ensure you have a role with the Blackout period permissions (Add/Edit/Delete Blackout Period). Click on the ‘Add Blackout Period’ button. You will need the correct permissions to be able to click this button. 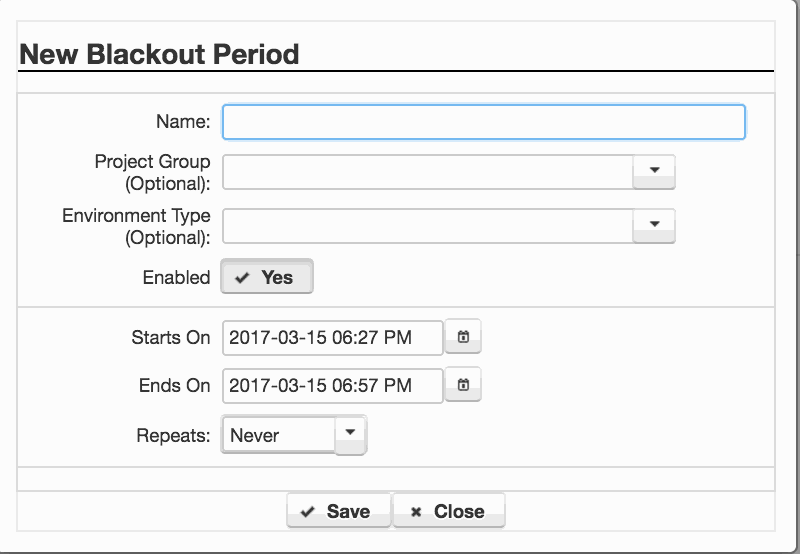 Create a new Blackout Period using the Dialog box (see right).